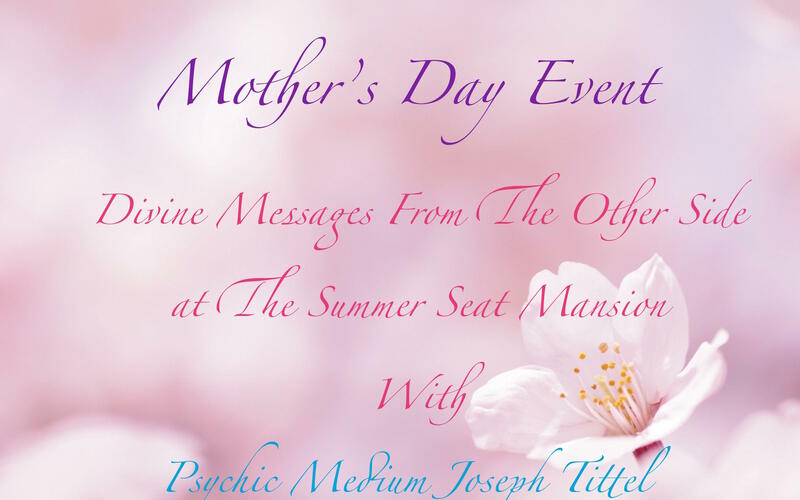 Join Joseph for this yearly Special Mother’s Day Event, Divine Messages From The Other Side. During this Special Mother’s Day Event Joseph will begin with a short intro discussing how to honor & connect with your loved ones in spirit. This will be followed by a short meditation to help you ground your energy, open your heart & call in the energy of the angels & open to receive messages from Spirit. Joseph will continue by connecting with Spirit & delivering messages from spirit to members of the audience. Event will conclude with a questions segment where Joseph will choose audience members, who have not received a message to ask one specific question. Space is very limited for this gallery to allow everyone the opportunity to ask a question and to give everyone a better opportunity to receive messages from spirit. Please Note: Once you register you will first receive a PayPal receipt for your purchase. Print that receipt as your ticket. We do not mail out tickets. History Shows This Event Always Sells Out. We DO NOT mail out tickets to events, please read our FAQs page for details. Purchasing a ticket for "The Other Side Gallery" does not guarantee you a private reading. Please click here to read our Disclaimer. The things you told me could only have come from those I lost, no one else knew of some of the information you said. I knew they were with me, but it was nice to have confirmation of that too. Thank you.